Switzerland is world renowned for its winter sport activities, in particular skiing and snowboarding. The Alps offer numerous extreme sports opportunities and not just during the winter months. Many people flock to the country during the summer months too when the weather is temperate and sports like mountain climbing, BMXing and mountain biking can be experienced. Some of the most popular extreme sports activities are described below. Ice diving is a very technical sport that requires a lot of training and experience but all the effort it takes to qualify is definitely worth it when you get to experience the underwater world in a different light for the first time. The best (and only) place to participate in this awesome extreme sport in Switzerland is in Lake Lioson which is in Les Mosses. Be aware though that this sport is only open to experienced divers and even then dives only take place during December to April. If you’re not qualified yet, you might want to at least get your basic certifications before you travel. Snow kiting is a great extreme sport to take part in if you’re visiting Switzerland and want to do something a little different. 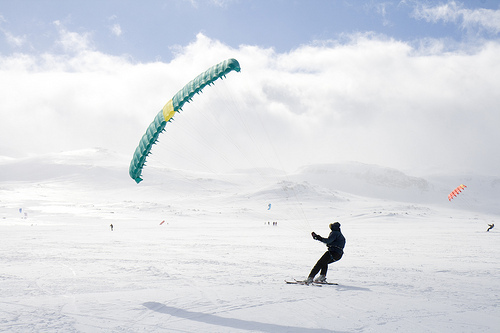 Often compared to kite surfing, participants grab hold of a kite whilst skating over the ice on either a pair of skis or a snowboard. The best place to take part in this sport in Switzerland is in Graubunden however there are dozens of spots where you will find this activity offered. This is one extreme sport where beginners are sure to have a great time and with many snow kiting schools located throughout the country, you will be snow kiting to perfection in no time. Switzerland has an elaborate road network, dozens of paved roads and lots of trails – all being an advantage for mountain bikers! Scoul which is at the far end of Switzerland is one of the best places to take part in this sport. Set in an attractive valley (which is sure to set your heart beating), it is quiet and a favorite spot with mountain bikers throughout Europe. Other locations to check out include Mont Blanc and Grand Raid – both offering something completely unique and definitely extreme! If you want to try something completely Swiss – check out air boarding! This sport was actually invented in Switzerland and involves lying on top of an inflatable body board whilst steering it down a slope. This is one extreme sport that has really taken off in Switzerland and the rest of Europe and definitely should be labeled as a must-try if you are visiting the country. Due to the popularity of air boarding there are now slopes in the country that are specifically made for people who want to participate in this sport. One of the best is Filzbach in Gravis which not only includes slopes but facilities and hire equipment too! Of course, helmets, knee and elbow pads are recommended! 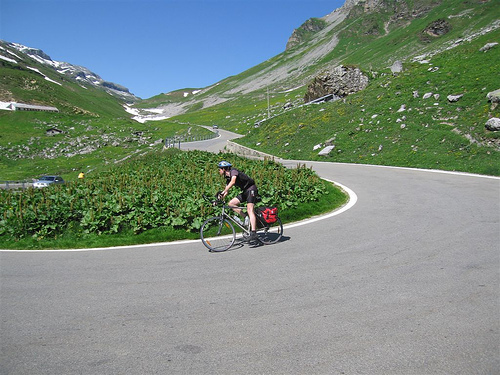 Switzerland is a truly awesome extreme sports holiday destination. To make your stay even better visit the Owners Direct website and browse through their great selection of accommodation. Your Switzerland Holidays will be perfect! This entry was posted in Europe, Ice Diving, Mountain Biking, Travel and tagged Air Boarding, Ice Diving, Mountain Biking, Snow Kiting, Switzerland. Bookmark the permalink.